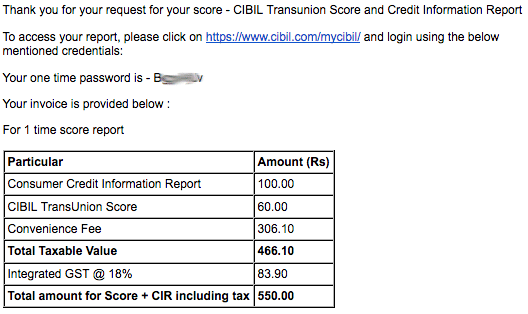 Credit Score – Why Should Everyone Know Their CIBIL Score? The credit score is the most important eligibility criteria for a bank loan or a credit card. Credit history and creditworthiness is assessed by a bank or financial institution through the credit score when you apply for a loan or a credit card. Credit Scores are calculated by the Credit Information Companies (CICs) using their proprietary logic. CIBIL is one such CIC and is the most widely used. CIBIL credit score normally ranges between 300 and 900 and a higher score indicates a less risky borrower and increases the chances of a loan being approved. 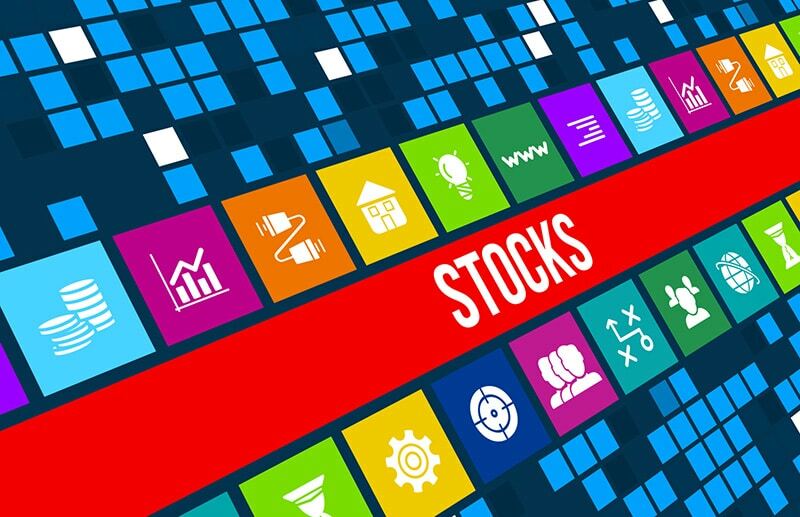 The credit information is reported to the Credit Information Companies (CICs) by a bank or financial institutions. 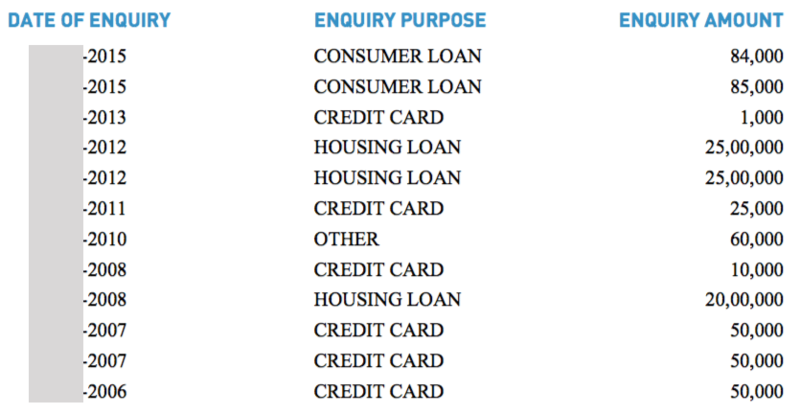 Note that only the borrowings i.e. loans and credit cards are used for calculation of CIBIL score. The bank balance or assets in the form of investments or property have no role in determining the CIBIL credit score. 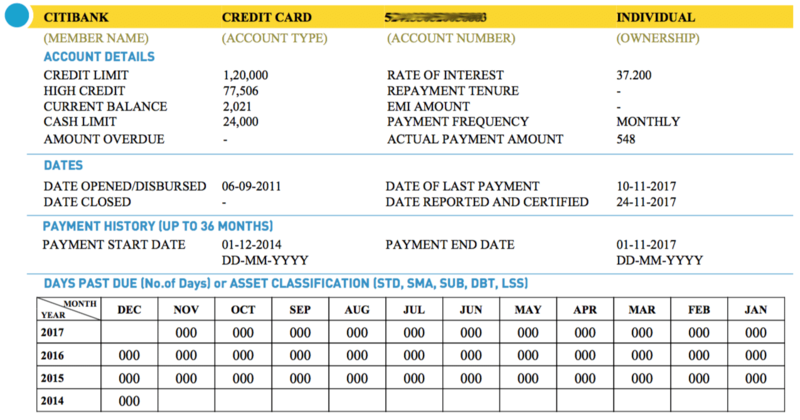 In simple terms, the money you borrow will be reported along with each EMI payment. The reported information includes many details like lenders, types of credit (credit card, mortgage loan, personal loans, auto loans, overdraft, etc. ), credit availed dates and repayment history of up to 3 years, defaults or missed payments, outstanding loan etc. The reported data is then used by Credit Information Companies (CICs) to calculate the credit score using the proprietary logic. Where are Credit Score used? When you apply for a loan or credit card at a bank or any other financial institution, the lender checks the credit score to determine if you are eligible for availing the loan. Banks and financial institution follow a threshold value of above certain value of CIBIL score for loan or credit card eligibility. Generally, a CIBIL score above 750 is considered good for loan eligibility. The higher the score, the better are the chances for a loan or credit card being approved. Having a low CIBIL credit score can make it difficult for loan approval. Enter the PAN number, a valid email address, date of birth and gender and proceed to make a payment. After the payment, you will have an email with a temporary password that you can use to log in. Once logged in, you will be prompted for a password change. Change the password and login again. Once logged in, the dashboard will show your CIBIL score. You can click on History tab to download the report in a PDF format. 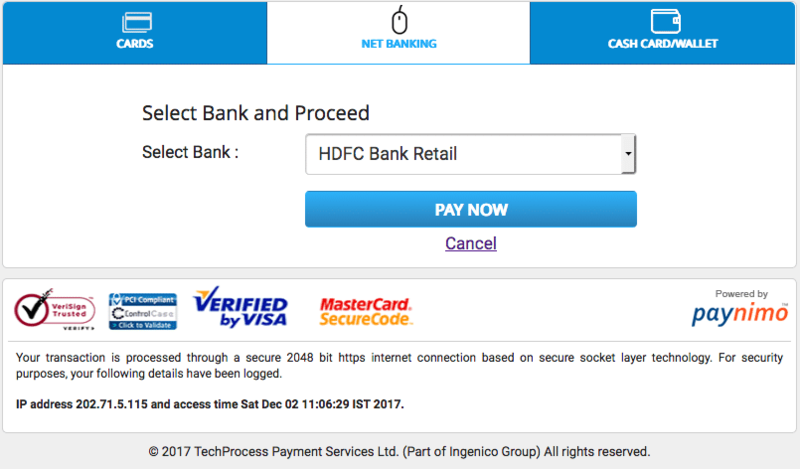 Here is my CIBIL report I just paid (on 2Dec2017). It will have all your credit history including each of your credit cards and loans you applied in the past. How to Improve Your CIBIL Credit Score? The best way to improve credit score is via a credit card. Here is a complete guide to how I manage all my credit cards. Use credit card every month and pay the full amount before the due date and it will improve your credit score dramatically. I set up all my credit card payments on auto payment. So even if I forget a payment, they are auto debited from my bank account so I never miss a payment. The same is reflected in one of my credit card’s history. My credit card’s history has increased my CIBIL score to 834 which is awesome. Why Should Everyone Know Their Credit Score? Even if you aren’t planning to take up a loan, it is better from time to time to know your credit score. When one actually need a loan and if any of the credit reports may contain error, your score may be impacted and your loan may not get approved. I just paid for the credit report though I don’t need any loan for foreseeable future because if I find any discrepancy, I can take raise a dispute and fix it well beforehand. Here are some articles that will interest you. 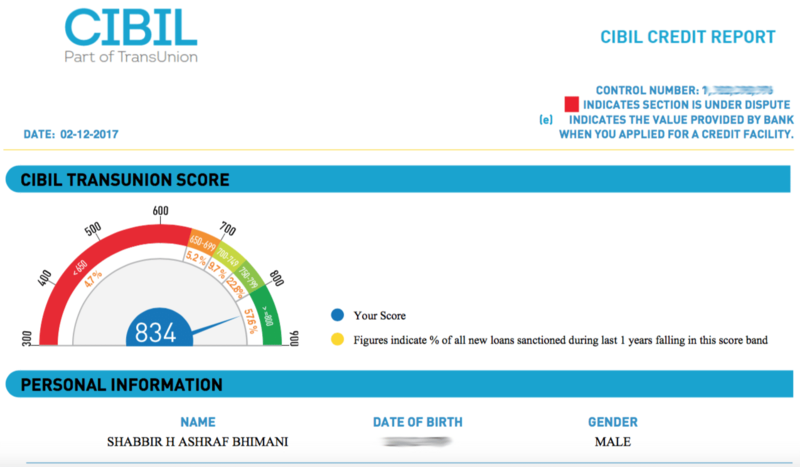 You are here: Home / Financial Glossary / Credit Score – Why Should Everyone Know Their CIBIL Score?